Gen Lucius DuBignon Clay, Jr.
Lucius DuBignon Clay, Jr. was born on 6 July 1919 in Alexandria, VA, the son of then-Second Lieutenant (later General) Lucius D. Clay, Sr., U.S. Army. He graduated from Western High School, Washington, DC, in 1937, and from the U.S. Military Academy in 1942. Upon graduation he was commissioned as a Second Lieutenant in the U.S. Army Air Forces and entered flight training. He received his pilot wings at Lubbock Field, TX, in December 1942. He next attended B-26 Marauder transition school at Fort Worth and Del Rio, TX, where he later became an instructor. In June 1943, General Clay went to MacDill Field, FL, and assumed Command of the 616th Bombardment Squadron, and two months later joined the 495th Bombardment Squadron as Assistant Operations Officer. He moved with the Squadron to Drane Field, an auxiliary airfield of MacDill in Lakeland, FL, then to Hunter Field, in Savannah, GA, and finally to the European Theater of Operations. From June 1944 to February 1946, he served with the 344th Bombardment Group as Operations Officer, Squadron Commander, and Group Commander. Following World War II, Clay remained in Germany and served as Deputy Commander and Deputy for Base Services with the European Air Depot, Erding, Germany. In February 1947, he returned to the U.S. to serve on the staff of the Deputy Chief of Staff, Operations for Atomic Energy, Headquarters U.S. Air Force. From June 1949 to May 1952, he was assigned to the Air War College and Air University at Maxwell Air Force Base, AL. Clay returned to the Pentagon in June 1952 as an Air Force member of the Joint Strategic Plans Group in the Organization of the Joint Chiefs of Staff. He later was assigned as Chief of the Joint Plans Division, Deputy Chief of Staff, Operations, Headquarters U.S. Air Force. He went to Ramey Air Force Base, Puerto Rico, in July 1956 where he served as Deputy Commander of the 72nd Bombardment Wing. In May 1958, he was assigned to Headquarters, Strategic Air Command (SAC) at Offutt AFB, NE, as Chief of the Plans Division. From February 1961 to August 1964, Clay once again served with the Organization of the Joint Chiefs of Staff. His first assignment was as a member of the Joint War Games Control Group, and later he served as Deputy Director for Operations. In August 1964, he was transferred to Waco, TX, as Vice Commander, Twelfth Air Force, Tactical Air Command (TAC), and in January 1966 he was named Commander. In July 1966, Clay returned to Headquarters USAF to become Director of Plans under the Deputy Chief of Staff for Plans and Operations; in August 1967 was assigned as Director of Aerospace Programs, Deputy Chief of Staff for Programs and Resources; in August 1968 he assumed the position of Deputy Chief of Staff, Programs and Resources; and in August 1969 became Deputy Chief of Staff, Plans and Operations. Clay was assigned as Vice Commander-in-Chief, Pacific Air Forces (PACAF), from February to December 1970. 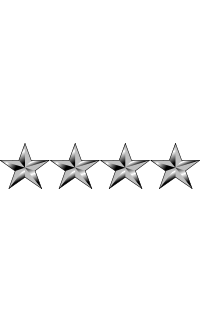 On 1 September 1970, Clay was promoted to the four-star rank of General and assumed Command of Seventh Air Force with headquarters at Tan Son Nhut Air Base, Republic of Vietnam. He also was Deputy Commander for Air Operations, U.S. Military Assistance Command, Vietnam (MACV). As Seventh Air Force Commander, he was responsible for all Air Force combat air strike, air support and air defense operations in mainland Southeast Asia. In his MACV capacity, he advised on all matters pertaining to effective use of tactical air support and coordinated Vietnamese air force and U.S. air operations of all units in the MACV area of responsibility. General Clay became Commander-in-Chief, Pacific Air Forces, in August 1971. He assumed his position as Commander-in-Chief, North American Air Defense Command/Continental Air Defense Command and as Commander, Aerospace Defense Command, on 1 October 1973. 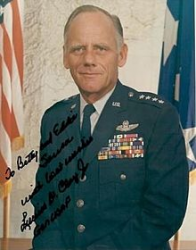 General Clay retired from the Air Force on 1 August 1975. General Clay was rated as a Command Pilot. General Lucius DuBignon Clay, Jr. died on 7 July 1994 at the military retirement community at Fort Belvoir, VA. Clay was buried alongside his wife, Betty Rose Commander Clay (1924-1991), at Arlington National Cemetery in Arlington, VA, in Section 30, Lot 497.